GULU- Residents of Gulu Municipality will receive cash rewards from National Water and Sewerage Corporation (NW&SC) for reporting illegal water connections. This follows reports of increased cases of theft of water among residents whose water system has been disconnected due to unpaid bills. Mr Stephen Gang, the Gulu area Manager for National Water and Sewerage Corporation (NW&SC), said they will pay Shs 50,000 to anyone who reports to them illegal connection. Mr Gang said so far they have received one case in Laroo, northeast of Gulu town. Mr Gang explained that after investigating the case, they found man whom he did not name had connected water illegally. According to Mr Gang, the person could be fined Shs470, 000. 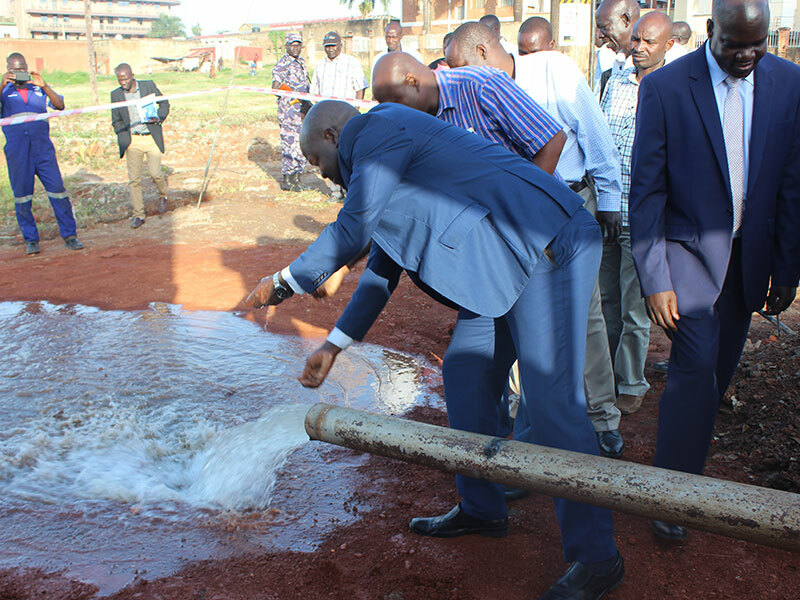 He said the initiative is to encourage reporting illegal water connection since such act costs the public utility provider millions of shillings in loses for unpaid water used. National Water and Sewerage Corporation also plans to involve police to clamp down those using their water illegally. The major culprits, according to National Water and Sewerage Corporation, are those making bricks who normally operate at night. There are over 130,000 customers connected to pipe water in Gulu town.